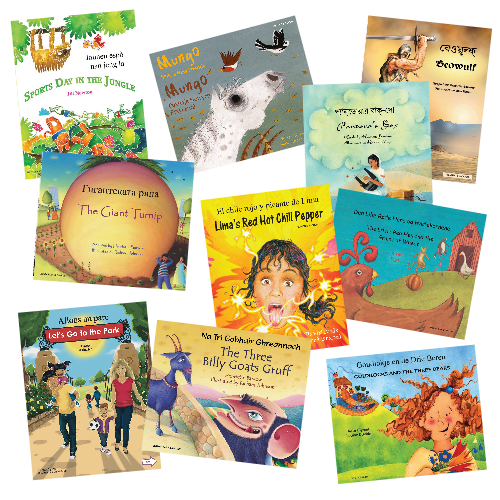 Choose from Mantra's huge range of dual language books, talking labels, talking pens and more, with large discounts throughout. Resources available in Albanian, Arabic, Bengali, Bulgarian, Burmese, Chinese Cantonese, Chinese Mandarin, Croatian, Czech, Dari, Dutch, English, Farsi, French, German, Greek, Gujarati, Haitian-Creole, Hebrew, Hindi, Hungarian, Irish, Italian, Japanese, Kalderash, Karen (Sgaw), Korean, Kurdish Kurmanji, Kurdish Sorani, Latvian, Lithuanian, Malay, Malayalam, Mexican Spanish, Nepali, Norwegian, Orcadian, Panjabi, Pashto, Patois, Polish, Portuguese, Romanian, Russian, Scottish Gaelic, Shilluk, Shona, Slovakian, Somali, Spanish, Swahili, Swedish, Sylheti, Tagalog, Tamil, Thai, Tigrinya, Turkish, Twi, Urdu, Vietnamese, Welsh, Yiddish, Yoruba. Next week is half term for most schools. 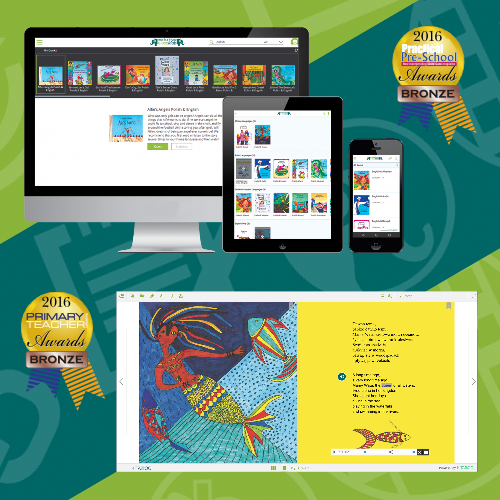 In order to keep the learning momentum continuing at home, Mantra Lingua is offering FREE membership to their Dual Language ebooklub, currently about 550 books in English with 37 languages. The offer is for one month, ending Sunday 10th March with a maximum of 4000 users. EAL Consultants, co-ordinators and classroom teachers can nominate anyone they feel could benefit from the library but the offer is on a first come, first take basis. So hurry. There is no limit to the number of users recommended by consultants, co-ordinators or teachers. If they wish to enhance oracy and language learning among their EAL pupils and families, just forward them the access code shown below. All parents have to do is visit read.mantralingua.com and copy and paste this number in the access code field: 4599813827815393. ClassroomPEN is the newest member of our TalkingPEN family. 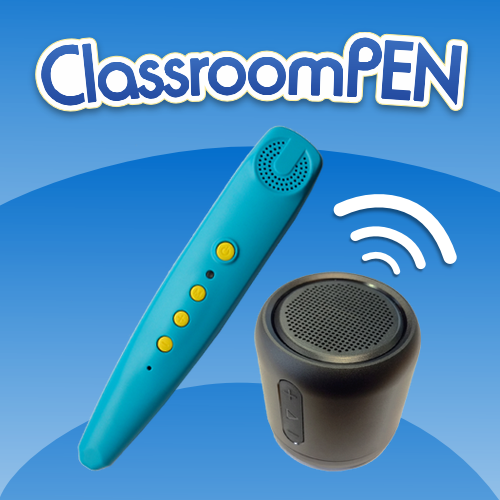 ClassroomPEN needs no wires and connects by Bluetooth to external speakers. It can do everything that PENpal can with the advantage of wireless connectivity. It enables you to bring sound to your whole class or setting. 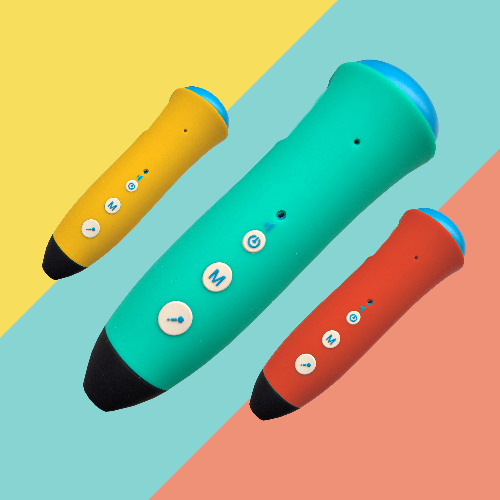 ClassroomPEN can also double up as a loud speaker. You can talk to the whole class or setting without straining your voice! The Kamishibai Storytelling Theatre slows down storytelling and encourages participation, concentration and confidence. Use the Story Prop Cards with the Storytelling Theatre Stage. Take away the familiar text and storytell yourself - and include the whole class! Roleplay, make-believe, co-author, appreciate social bonding, collaboration, social etiquette... the benefits are huge. 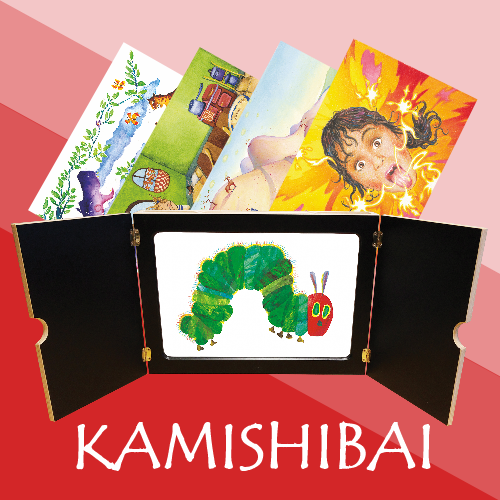 Use well known traditional tales; new, exciting stories; or make your own Story Prop Cards, and the Kamishibai Storytelling Theatre will appeal to children, teachers and parents. Stories include The Very Hungry Caterpillar, Goldilocks and the 3 Bears and The Three Billy Goats Gruff. The ability to communicate verbally and build oracy - even among L1 children and parents. Use PENpal to listen to books in English and 67 languages or to voice label any object. Access to 1500+ free audio files in 40+ languages. Use the PENpal and free stickers to add audio to any book you already own. Include L1 parents to add their voices to your favourite books. PENpal is able to speak in any language, except sign language, of course! Excited? You should be, there is no limit to how many 3 PENpal packs you buy.